It should be noted that can be precomputed once and then only additions and multiplications are required to estimate and after the time delay tuples have been estimated. Given and , the unique can be readily estimated without any spatial aliasing. The choice of sampling Frequency and/or , together with the number of microphones can be used to determine the resolution of the returned DOA. 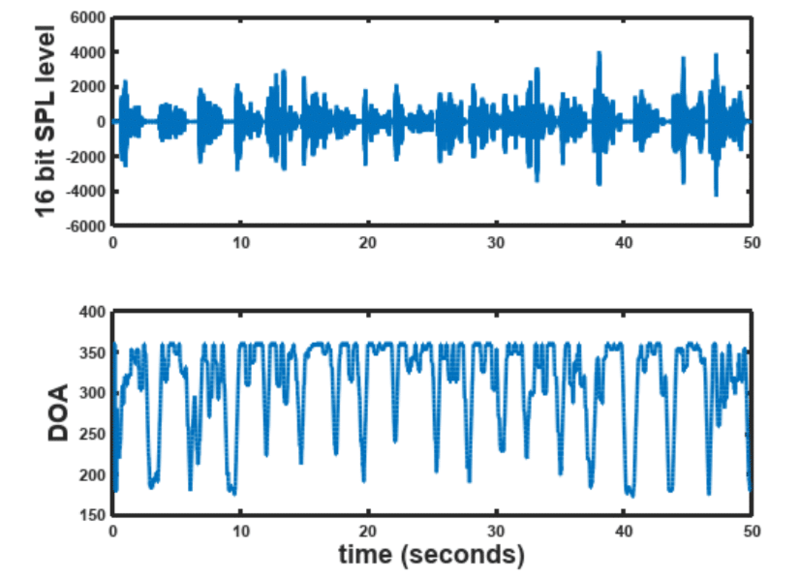 Figure 2 below illustrates and example with real speech, 8 microphones at a sampling frequency of 16kHz and . The true DOA is or degrees. 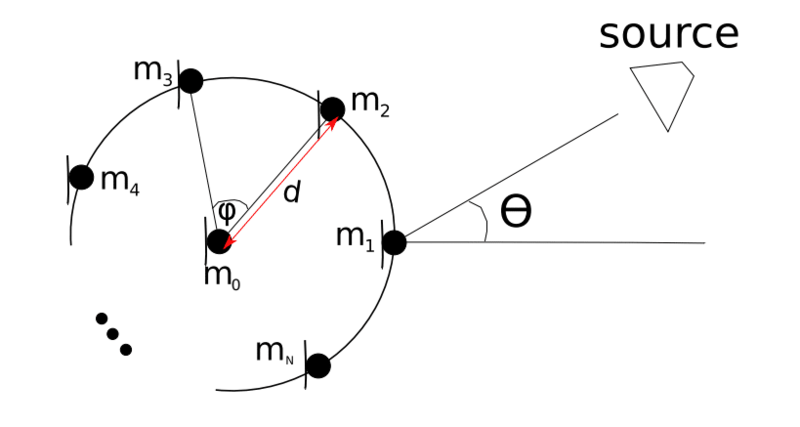 [TOP] Speech signal [BOTTOM] Estimate of the true angle of or degrees. It can be seen that in the DOA estimate is pretty accurate. This technique can be easily extended to estimate multiple speakers if the speakers can be separated in the time-frequency domain with some binning to isolate specific DOAs.